People read and remember funny signs. 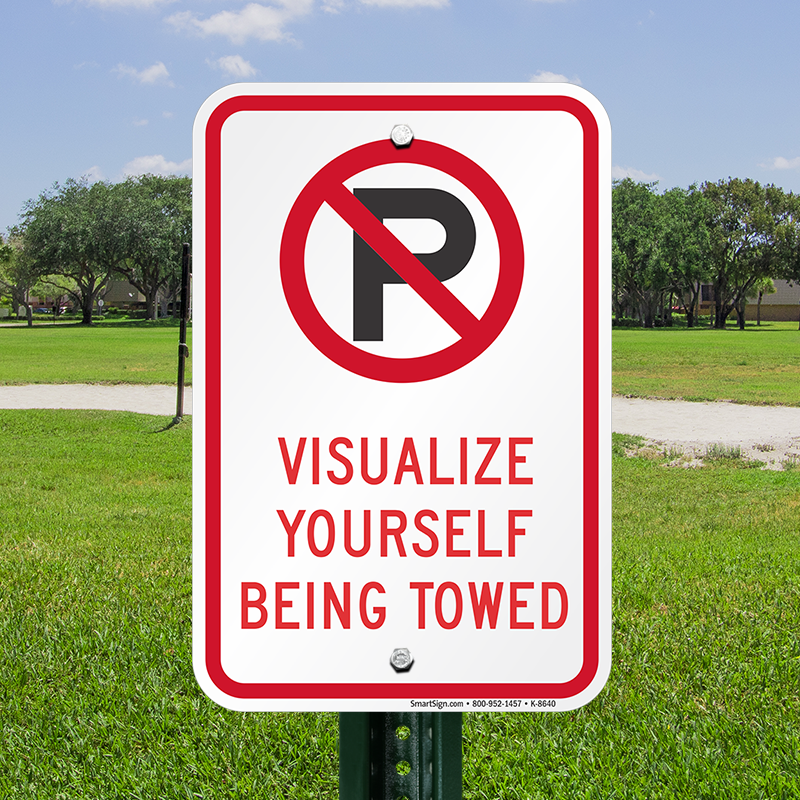 Stop drivers from parking in a specific area with this humor injected sign. 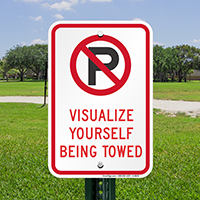 Parking can be effectively curbed with this bold No Parking sign. • The understated no parking message will grab attention instantly. 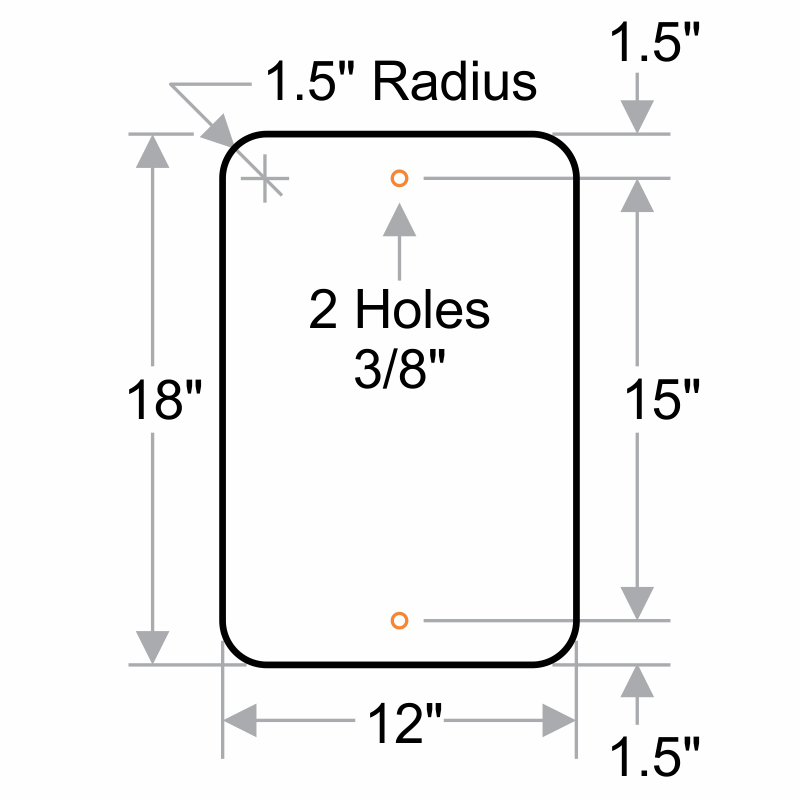 • Aluminum sign comes with two pre-drilled holes for quick installation.